Chacras de Coria is located about 20 minutes south of downtown Mendoza. These suburbs were developed in the early 20th century as an area of summer homes for Mendoza's aristocracy. Chacras is filled with beautiful old houses, gigantic trees, flower-filled gardens, casual restaurants and a pretty colonial central square that hosts a flea market every Sunday. 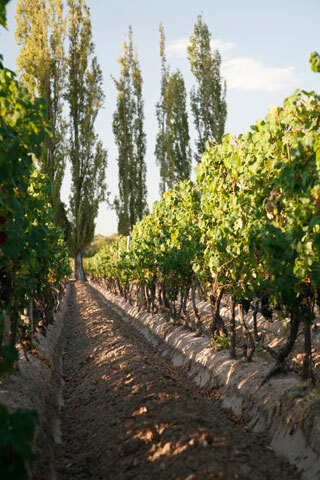 It's also home to most of the upper and middle management and winemaking personnel at Mendoza's wineries. Immediately south of Chacras, Vistalba is a bit more rural. If you are staying here, you will definitely need a car to get around. Most of Mendoza's bed-and-breakfasts are located in Chacras, with shops and restaurants within walking distance.